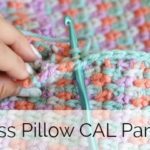 Today we are going to talk all about how to crochet the moss stitch on this moss pillow crochet along. If you are just now joining us and missed the part 1, you can find that HERE. It covers all of our supplies and details on the yarn;). 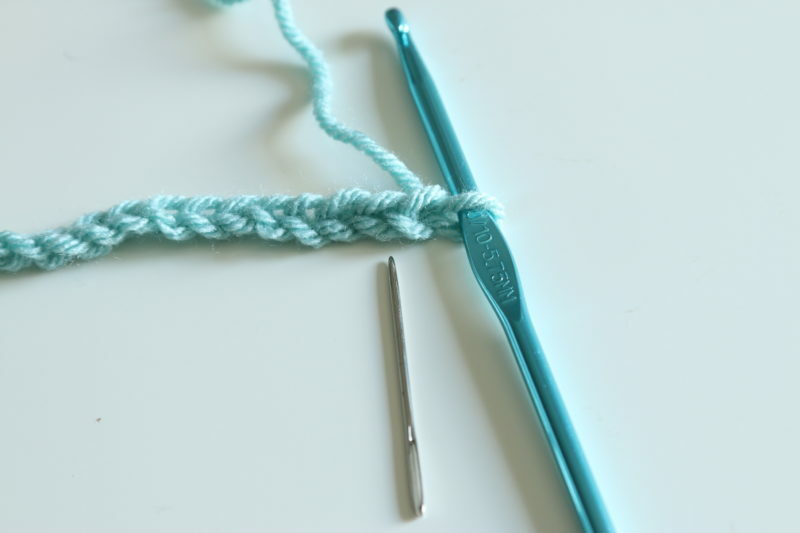 Begin with your first ball of yarn or color. Slip knot. Create your foundation chain. Measure it against your own pillow form, I will not be giving you a specific number of chains, just be sure it’s an even number. Hold it up to your form and go from there. 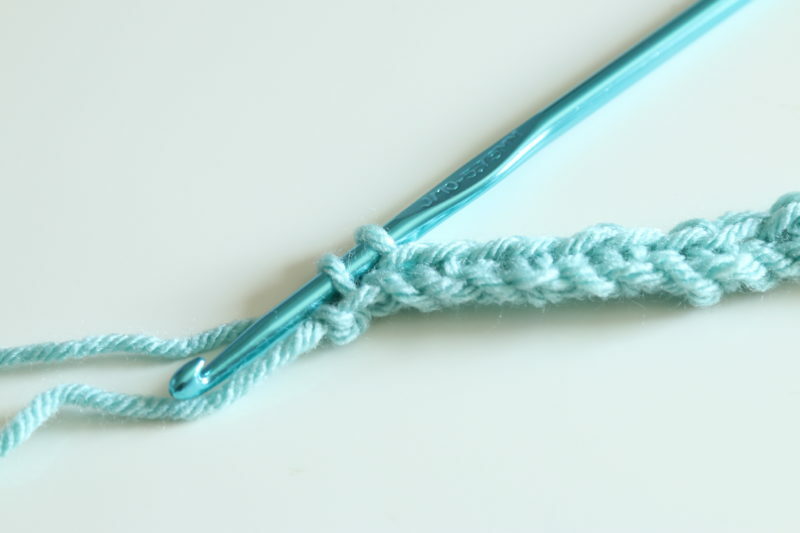 Single crochet in the 2nd chain from your hook. My yarn needle is pointing to the correct chain in the following photo. Repeat going all the way across your foundation chain. When you reach the end of the foundation chain, there should be a sc in the last chain. 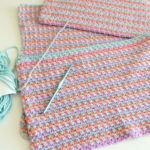 Insert your hook, yarn over, pull through – But instead of pull through the two loops on your hook with your current color yarn, pull through with your new color. Tighten everything down, chain 1, turn your work. sc in the ch 1 space, ch 1 and repeat all the way to the end. 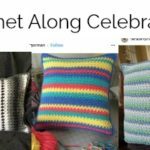 Be sure to place a sc in the last stitch. (Refer to video if you aren’t sure about this). Change your colors every row if you want your pillow to look like mine. Leave a 4-5 inch tail and then trim, you can weave that in later. 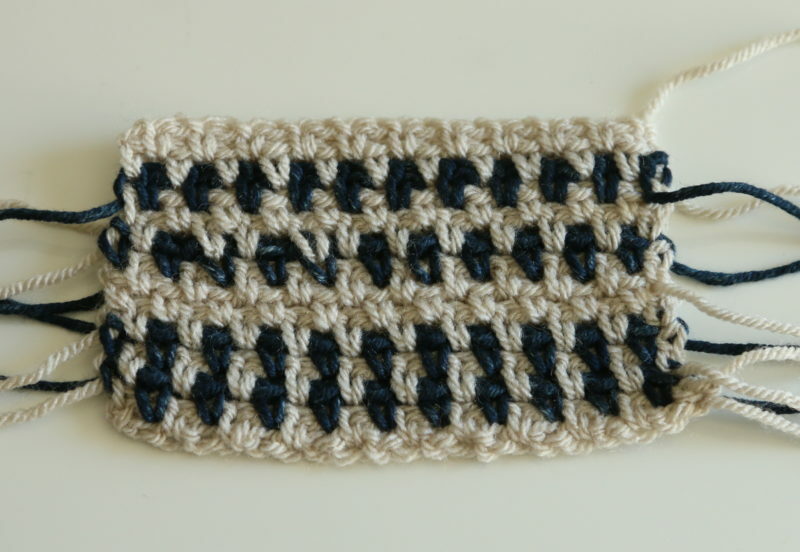 Here are some other example of the moss stitch with different color palettes and number of rows. This example uses only 2 colors. The bottom half of the sample changed color every row. So you can see how after an entire panel it would look like stripes. In the top half, I did 2 rows of the oatmeal color and 1 of the navy. That created a much more standout stitch for that navy blue and would really highlight a certain color. 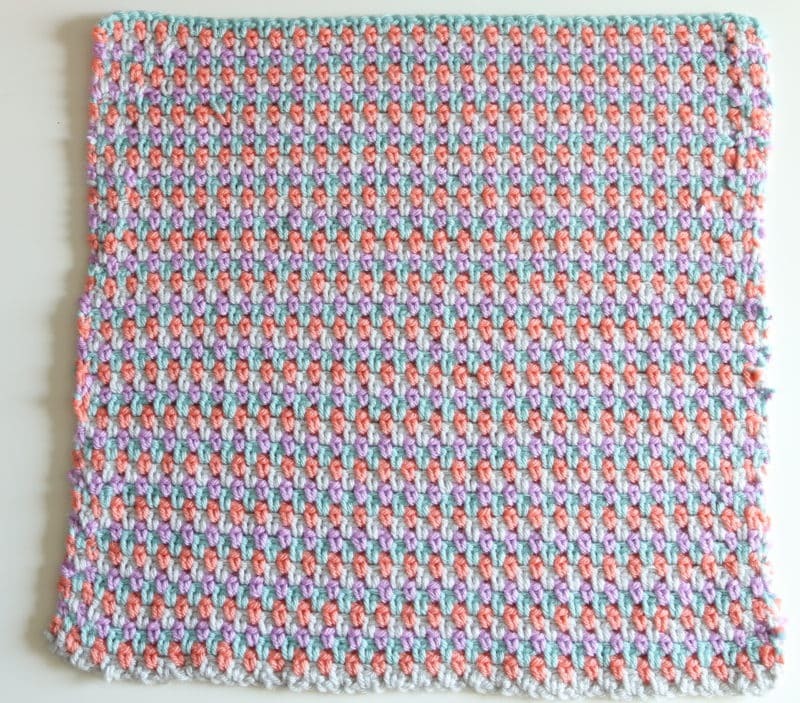 This sample is using the same colors as my finished pillow, but I did 2 rows per color instead of switching every row. 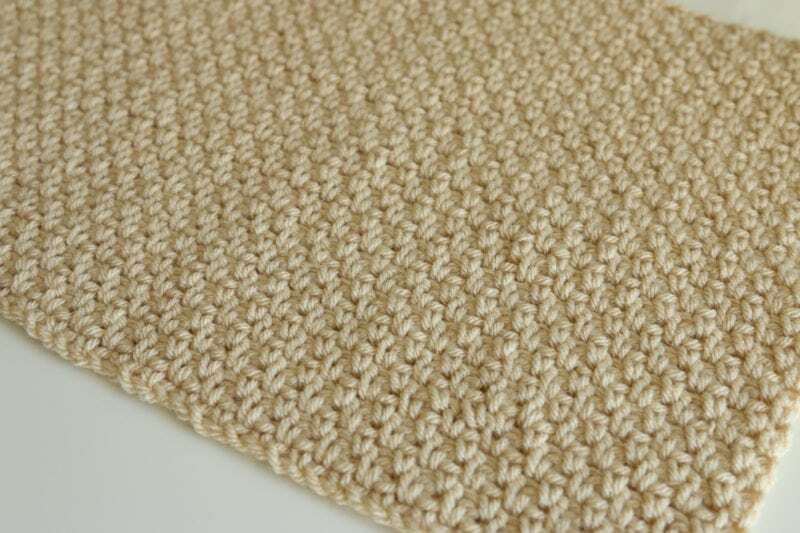 See how versatile the moss stitch is! Here is what it would look like if you decided to use 1 color. Here is how my front panel looks. I had already woven in my ends ( I will show you how to do that in a later post). Make sure your front panel is a square and measures the same size as your form. So to clarify, your task for this week is to make your front panel. Whether that is 16 x 16, or 18 x 18 have the front panel done by Thursday the 14th and I will have the next lesson set for you! Please let me know if you have any questions! I just got my yarn yesterday and here’s how far I got. It looks pretty. Can I weave the ends in as I go? I purchased a 18” pillow form. Do I actually do the foundation chain 18” or do I go by the actual measurement of the pillow.? It’s measuring approximately 17” not quite sure what to do. 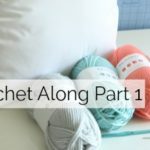 Hey, this is Deena Paine and I’ll take on this challenge of making a mossy stitch pillow cover. I really should be doing something other than crocheting, quilting, reading and watching youtube. But the dishes can wait and I’ll be getting in the bed to sleep in a little while why should I make up the bed. 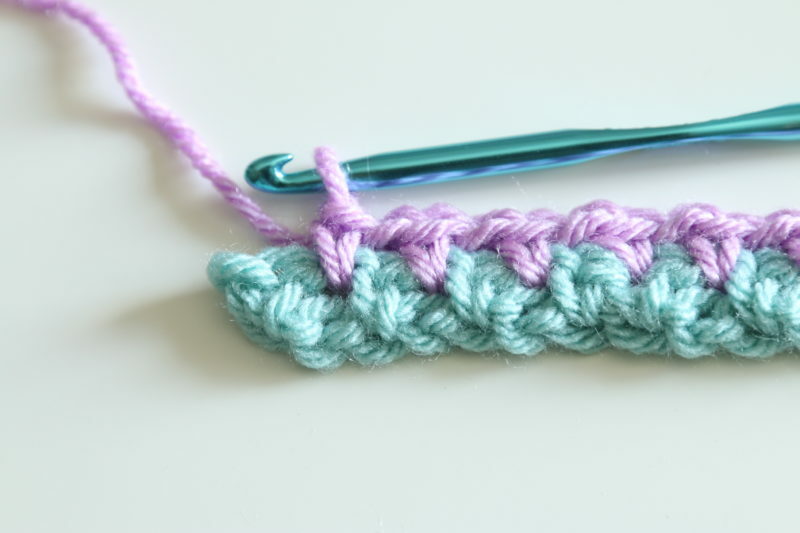 I have to crochet at night it relaxes me and I can lay down and crochet, I had two legs that had cast on them for over 4 months each so I learned to do alot laying down. 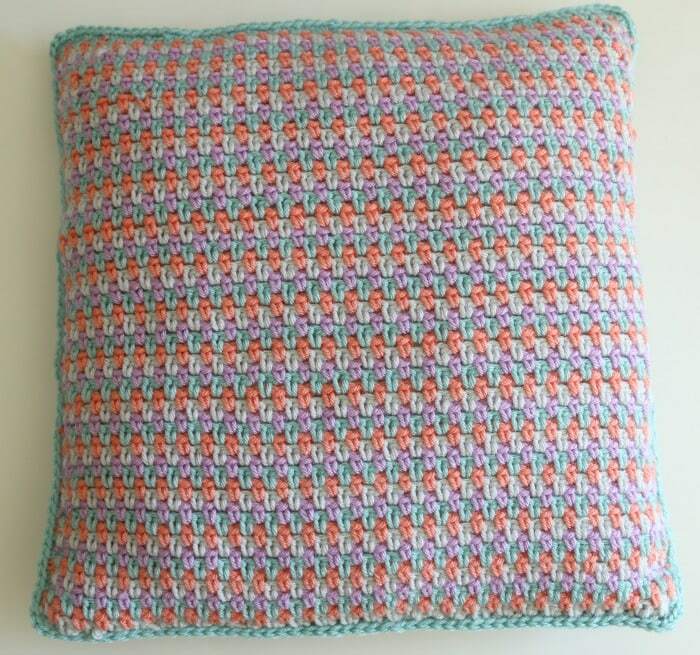 Any way count me in, I’ll be looking for enough yarn in my yarn stash to make this little pillow out of.. I just made a sewn pillow called pleated pillow cover..I’ll send you a photo if I can figure out how to send you a pic. Hello Dana! My materials didn’t arrive jet. Si I will be begin as soon I received. 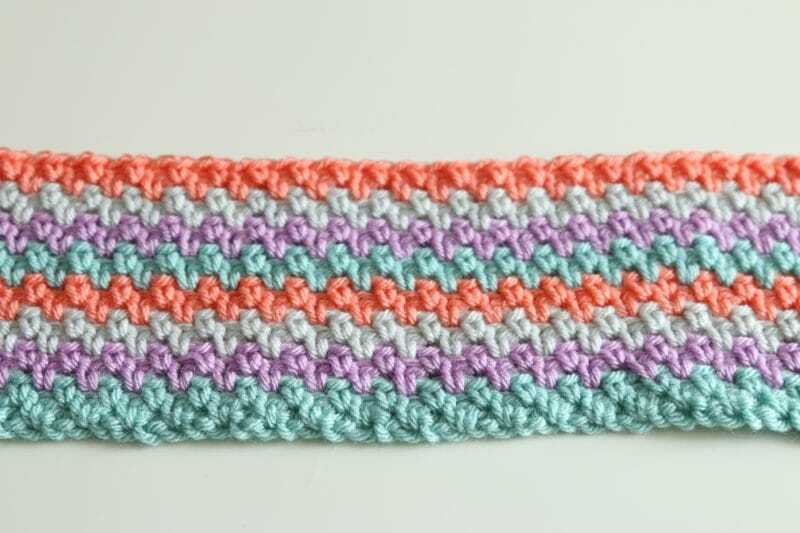 Do we Crochet the front panel t measure exactly 14 x 14 or a little larger? 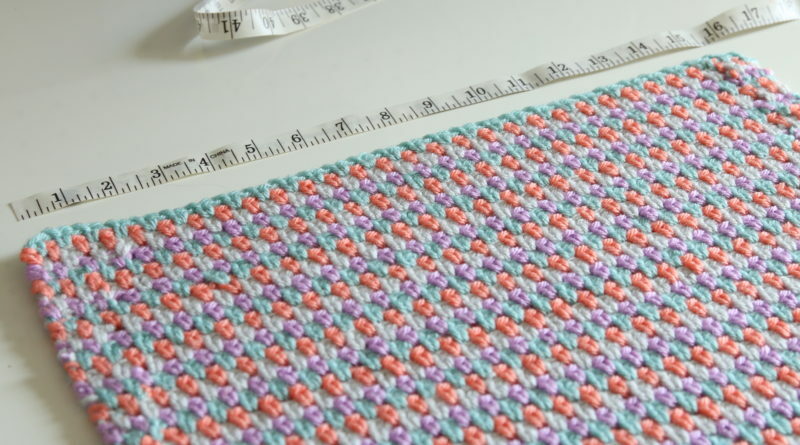 Like when I sew a fabric pillow I usually make 1/2 inch bigger.